I took so many great photos during our annual visit to Upper Clements Park last weekend, that I just had to share them. This year's trip was extra special because cousins Tanya and Monica were here visiting. It was the Gaudet family's first trip to Annapolis Royal. I'll have lots more to write about for Odin's birthday post which is quickly approaching, but for now here are some of my favourite shots of our family fun day. Who is this big boy riding a "Neigh"??? 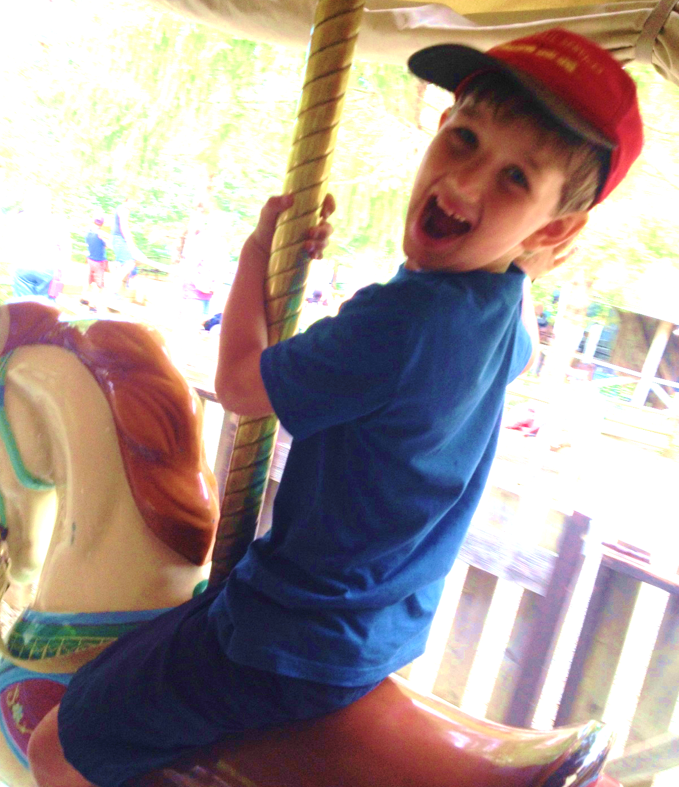 Caleb was 'brave' enough to upgrade from the merry-go-round sleds to a horse this year! Yeehaw! Odin takes the wheel. I couldn't believe he was going on rides BY HIMSELF this year. He did this ride 11 times in a row - no joking. There were no line ups, so it was a steady stream of 'Big Trucks! '...then we did some other rides...but we always came back to the trucks. I'm sure he went around the little track at least 20 times in total. Kids holding hands always gets me! Cale could reach the pedals this year, so he did all the driving in our car! This was seriously fun to watch! Some quality father-son bonding. Resting after a long, and super fun day. Great pics of a great time! !